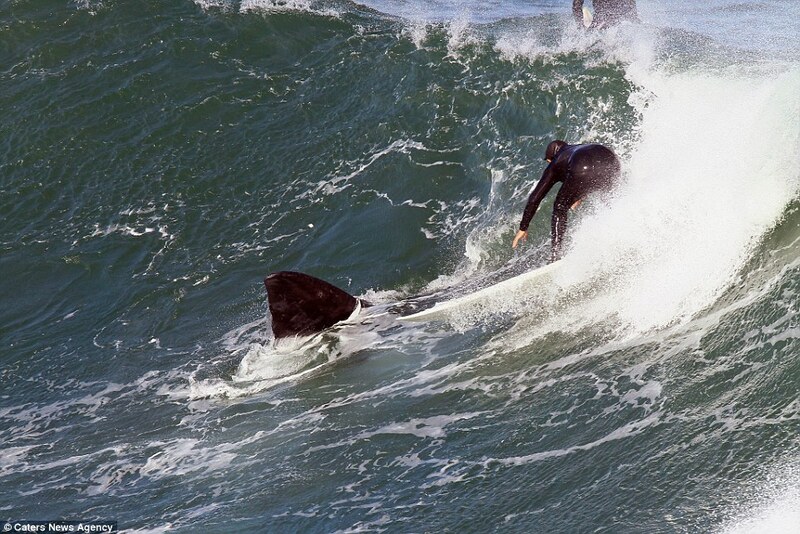 These incredible pictures show the moment a surfer rode a wave off the coast of South Africa – alongside a giant whale. 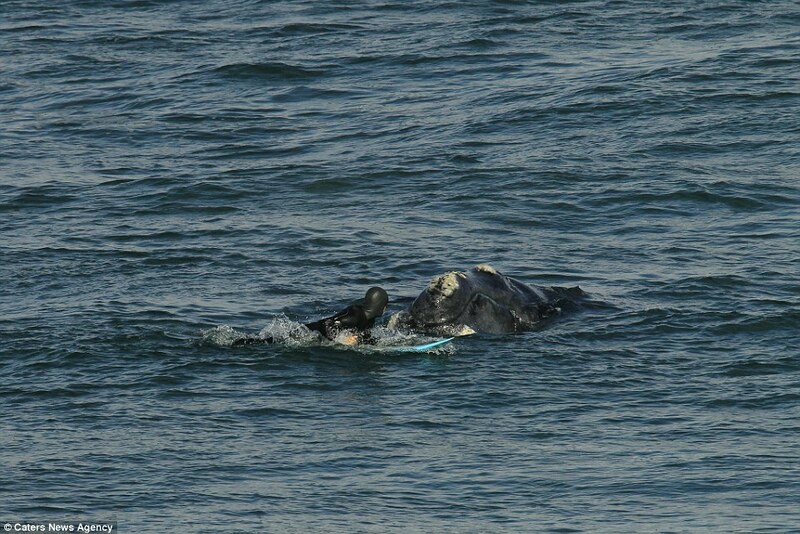 The unknown surfer was in the water at Hermanus, Cape Town, on the country’s west coast when a Southern Right whale appeared beside him. 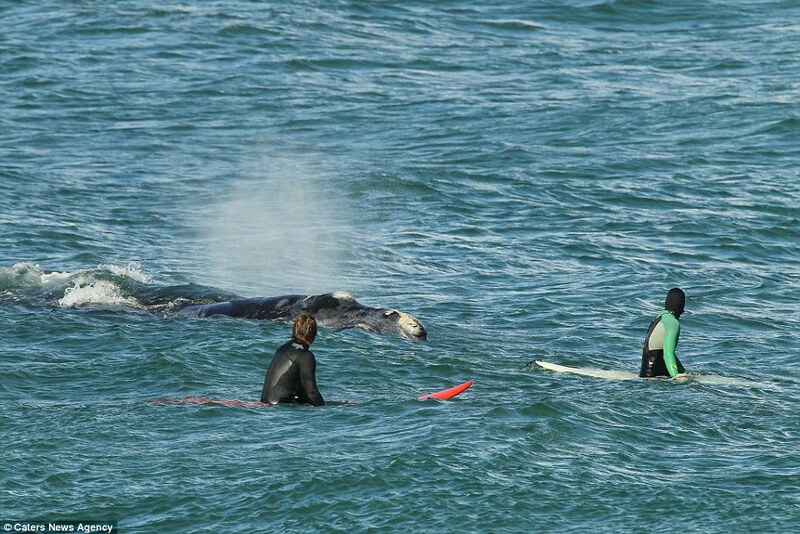 Pictured less than a metre away from the surfer, the huge animal joined the fun and was seen playing around as the waves were breaking. The rare encounter was captured on camera by photographer Dave de Beer from Cape Town. Mr de Beer, 50, was watching surfers practicing for a surfing competition when he captured the photographs. 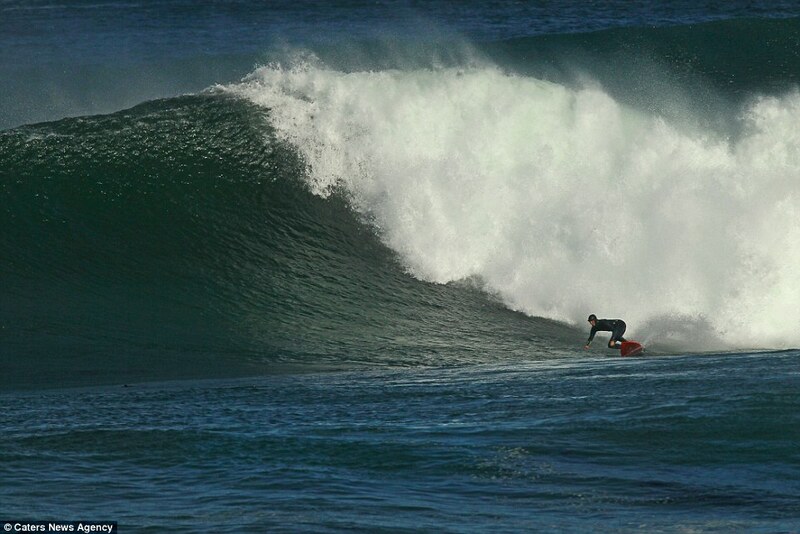 He said: ‘This time of the year, I love to watch the surfers practicing for the Dungens surfing competition, and they come to Hermanus at this time because of the huge waves we get, reaching around 30ft. ‘I did not plan to see the young whale with the surfers. ‘The young whale was displaying such playful body language, and eventually he gave in and went to play with the surfers in the waves, showing that he too can catch great waves, he even went up to the surfers as if to greet them. ‘It’s always great to get pictures of the surfers during this time, and an even better bonus to get this young whale interacting with them. ‘I often get whales and surfers in the same shot, but not often to get them this close and in the waves with them.